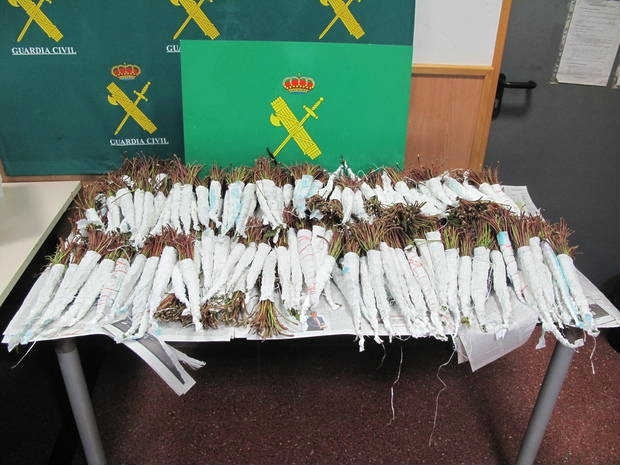 AN unusual drug arrest has been made at El Prat airport in Barcelona when two people were found trying to import 71 kilos of the African drug khat. A British male aged 28 and a 48-year-old Dutch woman were stopped after arriving on a flight from Nairobi (Kenya) and when their luggage was searched by Guardia Civil officers, the banned plants were found in their suitcases. Khat is a plant that contains cathinone an amphetamine-like stimulant, which is said to cause excitement, loss of appetite, and euphoria when chewed and its use in parts of Africa and Arabia can be traced back thousands of years. It was only as recently as 2014 that the import and use of khat was banned in the UK although it was considered dangerous and banned in various states within Europe including Spain many years before that.